Kings On Ice Olympic Gala that was to take place on April 5 at the Polyvalent Hall is rescheduled, will take place on October 7. Gala Olimpica Kings On Ice se reprogrameaza pentru luna octombrie a acestui an! 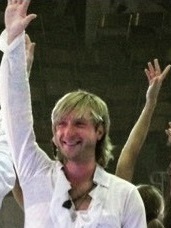 Evgeni Plushenko revine in toamna la Bucuresti! Gala Olimpica Kings On Ice ce urma sa aiba loc pe 5 aprilie la Sala Polivalenta se reprogrameaza pentru toamna acestui an si va avea loc pe data de 7 octombrie! dustman wrote: Kings On Ice Olympic Gala that was to take place on April 5 at the Polyvalent Hall is rescheduled, will take place on October 7. 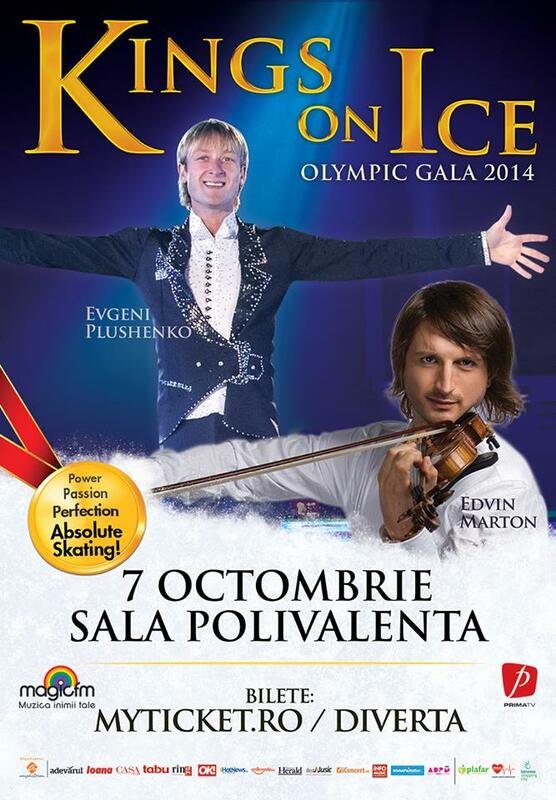 Kings On Ice Olympic Gala which was scheduled for April 5th at Sala Polivalenta will now take place on OCTOBER 7h. The autumn edition will present some of the most loved and awarded figure ice skaters in the world which will arrive to Bucharest with award-winning programs from the most important figure skating competitions. Furthermore, Evgeni Plushenko confirms his participation on October 7th at the Olympic Gala in Bucharest where he will present, for the first time in Romania, a compilation of his best ice skating programs in his whole career. Due to logistical reasons, Kings On Ice Olympic Gala which was scheduled for April 5th at Sala Polivalenta will now take place on OCTOBER 7th. The autumn edition will present some of the most loved and awarded figure ice skaters in the world which will arrive to Bucharest with award-winning programs from the most important figure skating competitions. Furthermore, Evgeni Plushenko confirms his participation on October 7th at the Olympic Gala in Bucharest where he will present, for the first time in Romania, a compilation of the best ice skating programs in his whole career. If you had tickets for the show scheduled on April 5th, they remain valid for the new show date - October 7th. If you are unable to attend the event on the new date, the tickets are reimbursable between March 20- April 30. Please contact the ticket point where you have acquired your tickets from and they will be able to give you the refund and any extra information. Many thanks! Schimbarea datei evenimentului nu afecteaza valabilitatea biletelor achizitionate deja, acestea putand fi utilizate pentru reprezentatia din 7 octombrie. Cei care nu mai pot ajunge la spectacolul programat pentru toamna acestui an au posibilitatea de a-si recupera contravaloarea biletului de la punctele de vanzare de la care acesta a fost cumparat, in perioada 20 martie – 30 aprilie 2014. Biletele pentru spectacolul Kings On Ice Olympic Gala din data de 7 octombrie sunt disponibile in reteaua magazinelor Diverta, Magazinul Muzica, libraria Mihai Eminescu, la casa de bilete a Salii Palatului si online, pe http://www.myticket.ro, la preturi cuprinse intre 120 si 400 lei. Changing the date of the event does not affect in either way the availability of the already purchased tickets, as they can be used for the show on October 7th. Those who will not be able to attend the re-scheduled show this Autumn have the possibility to get their tickets refunded during March 20th – April 30th 2014. During this time frame, it is compulsory to send a refund request on office@myticket.ro, and the amount will be transferred to the bank account from which the order has been paid. o m g! he looks sooo fit! cekoni lucky U if U'll go!